Mapping cities is deemed to be one of the most challenging tasks in the automated analysis of image data, as urban areas are composed of highly complex spatial and spectral structures. 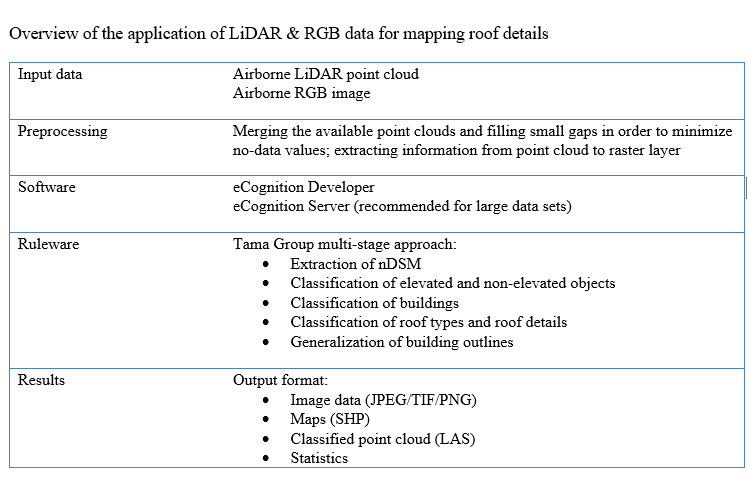 Combining different data types -radar data, multispectral to hyperspectral optical imagery, as well as LiDAR point clouds and thermal information – ask for different ways of processing. eCognition software provides an excellent basis for the comprehensive analysis of different data, making use of a variety of implemented methods. 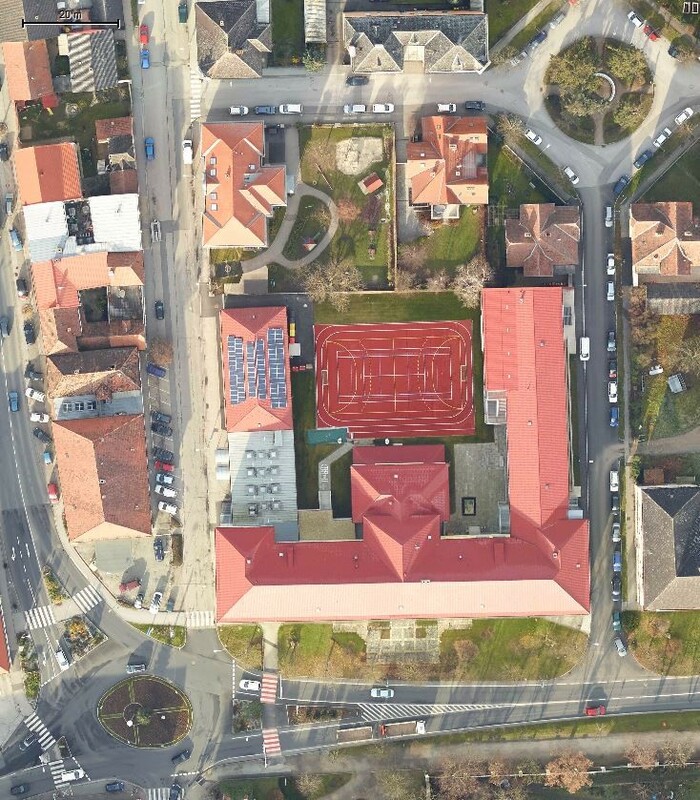 Our multi-stage approach can be used for detailed extraction of building roofs based on LiDAR and RGB data. RGB (Red, Green, Blue) data are required by passive sensors, utilizing the sun’s reflected energy, facilitates statements about surface materials of objects are possible. Aerial point clouds recorded by active LiDAR (Light Detection And Ranging) sensors exhibit other details about the earth’s surface and may be used to describe the height of scanned objects. Our five-step approach enables to combine different surface features revealed by the individual data sets, such as roof type, roof aspects, roof material, and solar panels. 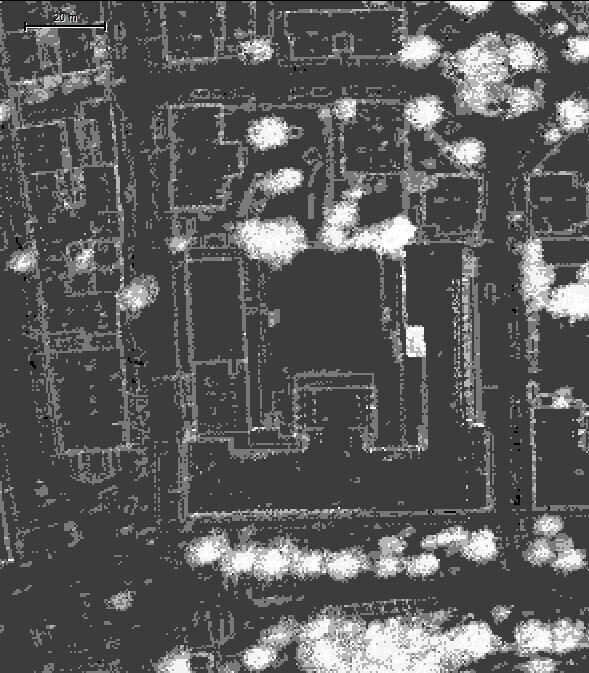 The synergistic use and simultaneous analysis of both data types – point clouds as well as RGB data – enables the inclusion of spectral signatures for segmentation and classification, thus providing a gain of information. Let’s talk about your use of simultaneous analysis of different data types.